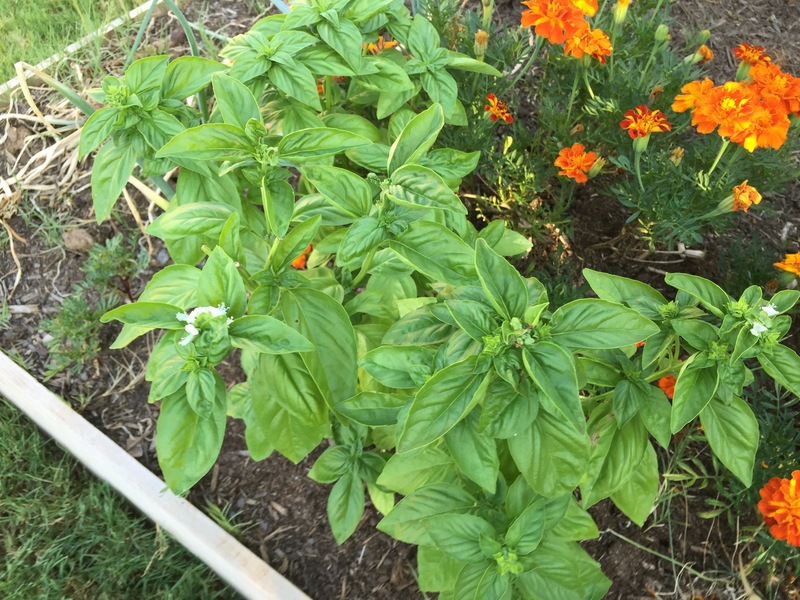 2015_Day 215: Should I let basil flower? I’ve harvested a lot of basil leaves from the basil I planted in March and now it’s starting to flower. I first noticed it last week and I snipped off the tops where it was flowering, because I heard that’s what should be done. Why, I’m not sure. As fast as I cut it, the leaves — and flowers — grow back. Doesn’t seem like it’s hurting anything and it still tastes good. The photo above shows flowers growing back on the basil less than a week after I pinched them off. Should I cut the basil back even further to avoid more flowers? Or just let them grow, all nice and pretty? 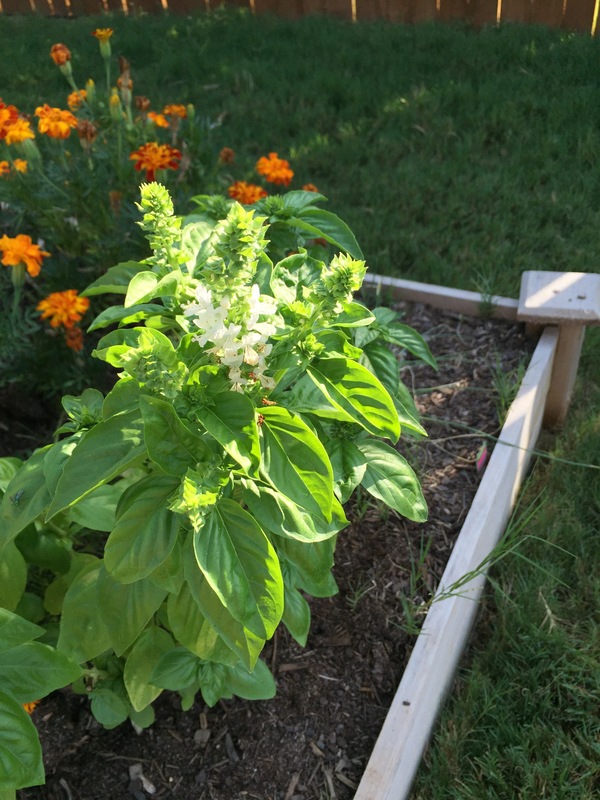 This entry was posted in Gardening and tagged basil on August 3, 2015 by Julie Riebe. Basil gets bushier (and less leggy) when it’s frequently pinched. Just like other annuals, the root system and tops always strive to be in equilibrium. Let them flower when you are ready to collect seed. The flowers are also edible! According to this link you should pick the flowers if you want to keep using the leaves. You can even eat the flowers. If you hadn’t asked, I would not have known this either.